Submitted by Calcutta Music on Sun, 07/26/2009 - 08:56. Listen to online free samples and download complete Krishna Chattopadhyay songs discography is MP3 format from WBRi affiliate online music store. Submitted by WBRi on Sun, 06/21/2009 - 12:13. Washington Bangla Radio broadcast the Hindu Dharma Sabha Live from the Durga Temple starting 2 PM on July 18, 2009. Listen to the complete recording of the Live internet webcast. Read all about the first North American Hinduism conference. Watch a WBRi exclusive picture slideshow. Submitted by WBRi on Thu, 06/18/2009 - 15:31. Subject: The Bhagavad Gita is an intrinsic part of the Indian philosophy. The spiritual and the philosophical aspect of the teachings of the Bhagavad Gita touched me, and made me ponder over the essence of human life. Having read the Bhagavad Gita, I decided to compose a poem on the topic in my own way. The work is original and is inspired by teachings of the Bhagavad Gita. The scene: Kurukshetra battle field, where Panadavas fought the Kauravas. Arjuna the valiant Pandav, son of Pandu sit in agony. He could see the death ground where members of his family now fight. He is in desperation. Lord Sri Krishna, the eternal spirit of the Bhagavad Gita : watercolor on paper by Barnali Saha. © Copyright Barnali Saha - All Rights Reserved. Unauthorized reproduction prohibited. Submitted by WBRi Web Desk on Mon, 06/01/2009 - 23:51. 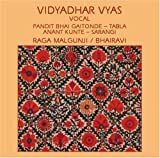 Vidyadhar Vyas is an eminent vocalist of the Gwalior style, with a warm, round tone extending into a sweet and ringing tenor region. 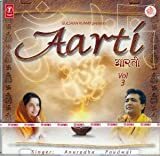 Vidyadhar offers a buoyant, well-structured rendering of the sweetly romantic raga Malgunji and a Surdas bhajan (devotional song) set in the bittersweet raga Bhairavi. Hear sample free & order this album online at a great price: on sale. Submitted by WBRi Web Desk on Sun, 05/31/2009 - 12:54. 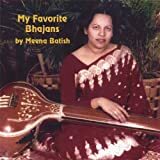 Check out some of the Hindu / Sanskrit Bhakti Aarti Bhajan Kirtan Devotional MP3 Online Internet Radio channels live broadcasting on the internet right now that you will surely find peace and solace in listening to. Submitted by Calcutta Music on Fri, 05/29/2009 - 15:11. Hear free samples & download MP3 songs online from this great devotional songs album. Submitted by Calcutta Music on Thu, 05/28/2009 - 08:00. Rama Basu sings Sanskrit Stotra Songs accompanied by excellent instrumental music composition sure to uplift your spirit and bring peace and relaxation to your heart. Rama demonstrates excellent diction and Sanskrit pronounciation in these Sanskrit Bhajans. Check out samples of the songs free online, and purchase the MP3 album instantly. Submitted by Calcutta Music on Thu, 05/28/2009 - 00:59. Submitted by WBRi Web Desk on Tue, 05/26/2009 - 01:00. Six fantastic Sai Baba Bhajans from eminent singers like Anuradha Padwal, Ravindra Sathm, Pramod Medhi. Submitted by WBRi Web Desk on Mon, 05/25/2009 - 08:06. Anuradha Padwal has a fascinating voice and extraordinary singning and diction abilities. This is a very soothing album, and will calm you down and bring a sense of peace and fulfilment all around.